Chevrolet decided to pull the wraps off the new Silverado Midnight Edition before its official debut at the Chicago Auto Show. The American pick-up truck benefits now from this special edition which features a series of styling tweaks as well as extra equipment. At the exterior, the Silverado Midnight Edition stands out thanks to the a black front grille, revised optical blocks, new Z71 badges and a set of 18-inch alloy wheels with Goodyear Wrangler DuraTrac tires. Other features of the Chevrolet Silverado Midnight Edition include a Hill Descent Control system, rear parking sensors, locking rear differential and off-road suspension. Chevrolet offers the new model in both 1500 double cab and crew cab variants. 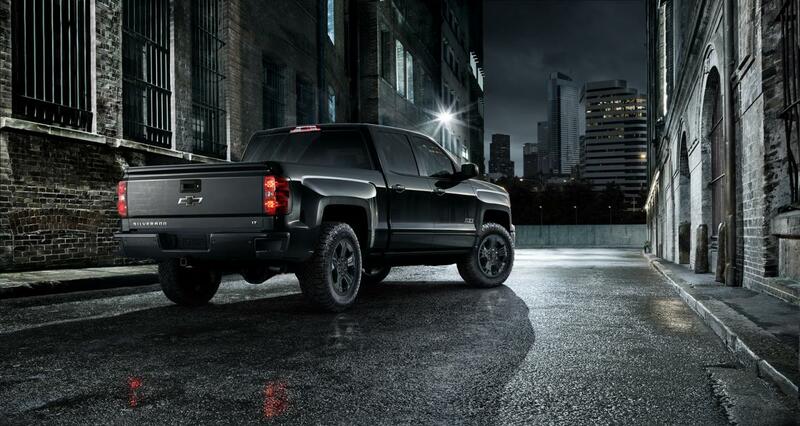 The special edition costs between $1,595 and $1,995 on top of the 1500 Z71 Silverado version. For now, only 5,000 vehicles will be built but if there’s interest for this model, 2016 might bring another batch of cars.